Josh Goot’s collection of prints served as an optical illusion to my eyes. I don’t know much about this designer, but there was something about his clothes that made me say wow. I would totally have to wear the dresses, jackets, or pants separately. They look good on the runway together but out in the open is another story. I didn’t see any gorillas at Christopher Kane, but I did see crisp suits, gingham plaids, and exposed thighs and bras. All the dresses seemed to have two side splits. Some dresses had portions of gingham and solid fabric, while other dresses had layers of multi-colored gingham. The color schemes was faded pastels, browns, and blacks. Then towards the end of the show he introduced a floral embroidery pattern. I watched the live stream of the Burberry fashion show, and I was AMAZED. Everyone on the live chat and twitter were just going nuts the whole entire show. The platform shoes were crazy gorgeous and crazy high. All of the dresses,pants, and tops had some form of draping or ruching. The classic trench coats were too perfect. Christopher Bailey created the perfect collection with the perfect pastel spring collection. I can already see this collection being photograph and styled for editorials already. havent heard of josh goot before but to tell u the truth i'm not really liking his stuff. 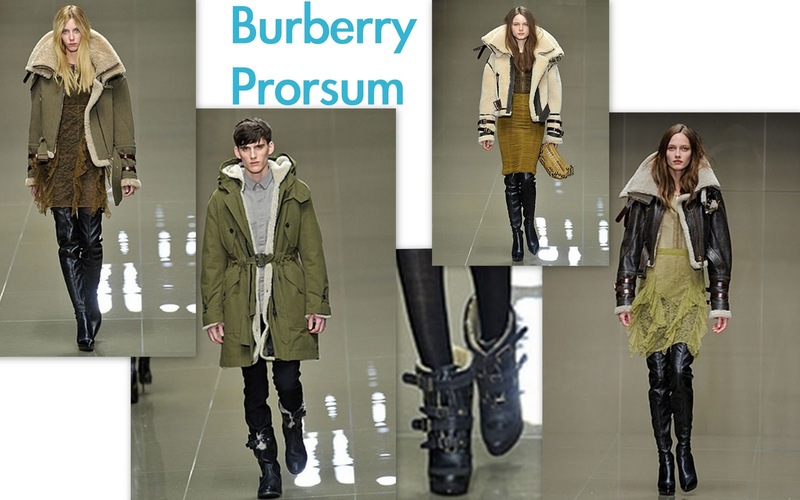 i'll stick to the classic burberry prorsum. Gorgeous roundup, darling! 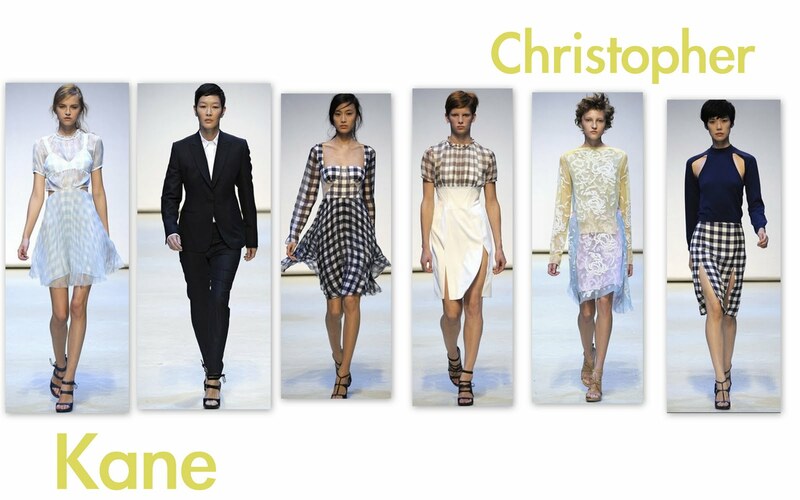 I was a little disappointed with C. Kane, but looooooved Josh Goot's collection ~ so many fab dresses! I'm pretty floored that Kane keeps coming up with new concepts every season. I was just happy to Jenny Shimizu on the runway again! Hey, Josh Goot’s is a good designer. He has designs the gorgeous clothes like dresses, jackets, or pants etc. All the dresses seemed to have two side splits. Some dresses had portions of gingham and solid fabric, while other dresses had layers of multi-colored gingham. The color schemes were faded pastels, browns, and blacks. Hey it's Jai! Welcome to The Fat and Skinny on Fashion. At TFAS, you will find my latest musings on fashion, beauty, and my life! I hope you enjoy! Have a wonderfully phenomenal day!